Moving Service will provide a simple and stress - free removal service in Brixton, SW9 for you and your family. We know that there is a lot to be sorted out, so don’t postpone booking a date for too long. Our experienced movers are here to provide a prompt and efficient service. We can arrange an efficient service to suit your needs. If you need complete deal we are here to help. Or you can choose to use our man and van hire if you have a smaller load to ship. In addition, you can choose to do your own relocation to Brent and hire our trusted removal van hire service. All of our costs are affordable, so you can call us to help with other services including overseas relocations, office and furniture removals. 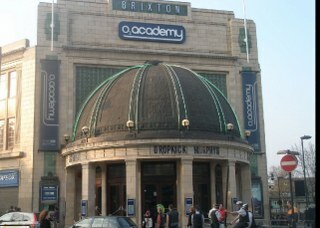 You can trust us to help and make your move to Brixton a better experience. You can apply online for a quote and check our full range of services. Call us and book a meeting and let our consultants supply an accurate quote. You can call us now on 020 8746 4402 and we will supply helpful tips and advice for your removals to Brixton. It is a region of South West London in the London Borough of Lambeth. It is mainly a suburban area with plenty of shops and markets. It is a multi cultural area with a huge number of African and Caribbean people living here. Its postcode districts are SW9 and SW2.The area is surrounded by Clapham, Camberwell, Stockwell, Streatham, Tulse Hill and Herne Hill. It is a mixture of prosperous areas with nice houses and residential areas. But in addition there are lower income and poorer areas here. There are still a high number of grand Victorian houses in the area that date back to the early 19th century. The railway in the area was constructed in 1870 and helped in the development of trade and commerce here. It is a main shopping area and has plenty of shops, pubs, cafes and restaurants. Brixton market is open daily and is located in Station road, away from traffic. The market sells food produce such as Afro-Caribbean, Indian and Vietnamese products. The area is a lively place and has a good nightlife with many nightclubs. If you are moving to Brixton, SW9 make sure you hire Moving Service for all the help when moving. We can take you through each step so that everything goes smoothly. Our professional staff members are on hand to help with the packing and supplying the materials at a reasonable cost to suit you. We can also offer help with business and overseas relocations. You can call and discuss your requests with our courteous customer service. We will support you from the first call, so arrange a meeting to provide an accurate quote. You will be amazed at how efficient we are dealing with your move. No job is too big or too small for us, so call us now and book your move on 020 8746 4402. If you want to do your own move then why not use our dependable removal van hire services around SW2 area. Or if you have a smaller load, then take advantage of our man and van hire. When hiring our services make sure you apply for permission for our removal vehicle to park, for more information about parking permits in Brixton, visit the local council’s website. Highly professional movers. They moved by two bedroom flat in SW9 with ease. They were meticulous when it came to anything which could be damaged. This plus the great rates would make me hire them again, and again.